It was during high school that Dr. Smith first encountered chiropractic care. He and his mother were involved in a car accident when he was in high school, and they both started seeing a chiropractor. He saw a chiropractor for some time afterward but hadn’t yet decided on the right career path to take. During his undergraduate years, Dr. Smith decided to pursue medical school. He was then in a low-speed car accident, which according to his insurance company, couldn’t result in any injury. As the year went by, he noticed that he had to turn his entire body to look to the side. One morning, he woke up and had numbness in his thumb. Instead of continuing a premed path, Dr. Smith chose to complete a Bachelor of Science in Biology, then attend Parker University in Dallas, Texas. This institution taught him how to look at the whole person instead of simply treating an illness, getting to know each individual for the most effective treatment. He earned an additional Bachelor of Science in Anatomy, as well as a Doctor of Chiropractic. 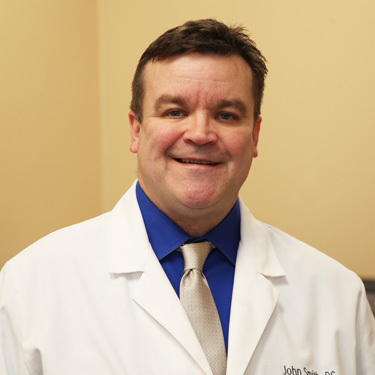 He is trained as a ligament injury and connective tissue specialist, and treats the whole body, including extremities. In his spare time, Dr. Smith enjoys hiking, traveling, reading, writing and watching movies. He is a member of the Southwest Ohio Chiropractic Association, the Ohio State Chiropractic Association and the American Chiropractic Association. Insurance coverage can be used for your visits. Contact us to schedule your appointment!